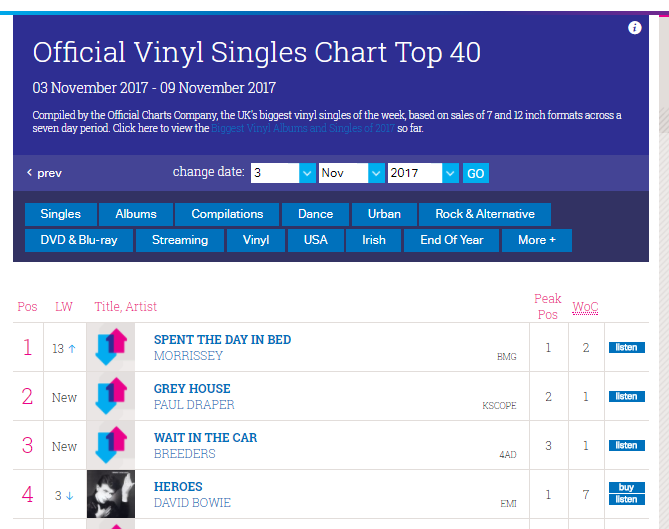 Former Mansun frontman Paul Draper’s new single ‘Grey House’ has entered the UK vinyl single charts at number 2. The single features an exclusive new edit of the ‘Spooky Action’ album track ‘Grey House’ and a new mix edit of ‘Who’s Wearing The Trousers’. ‘Grey House’ is available from good record stores, Paul’s online store HERE and other online retailers.